Greens: time for a rethink? After the election their was a sharp and somewhat bitter exchange between Greens legend Bob Brown, and a rejoinder from NSW Green Mehreen Faruqi. She joined the Greens because of Bob Brown, she said, and now he had broken her heart. This incident was a symptom of a deeper cleavage. Perhaps the Greens need to decide whether they will chase votes, or will stick to principles and try to bring voters with them. Has the sainted Bob Brown moved from the first camp to the second? Richard Di Natale and Adam Bandt were getting ahead of themselves when talking about the possibility of being in government and a possible coalition with Labor. After the experiment during the Gillard years, Labor was totally averse to going down that track again, and could never do it while the Greens were trying to unseat Albanese and Plibersek. What Bandt and Di Natale did do was lend credibility to Turnbull’s scare campaign about a coalition with the Greens and starting up the boats again. 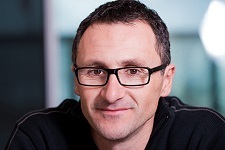 After the NSW kerfuffle leader Di Natale urged Greens to keep their comments in house. There would be a careful and rational review based on evidence, he said. Others have had a bit of a field day. Melissa Davey looks at the tension at the heart of the Greens, Osman Faruqi says that without serious soul-searching, the Greens will never move beyond the 10% plateau. Liam Byrne at Overland takes a look and Paul Keating, always helpful, had earlier called them self-serving Trots and opportunists. The Greens, in origin, and still in name and mainstream image, are an environmental protest party, with minority social causes added more recently. They’re trying to look safe and serious, but if you try too hard you just show your insecurity. The Greens have developed the broad policies of a mainstream party, but their strategy seems still to be that of a fringe party. Gaining a few per cent and a few seats per election might be the strategy for less critical times, but there are much bigger changes brewing. They’re paddling hard but don’t seem to notice the looming wave. What is lacking is a simple narrative that cuts through. Sanders and Corbyn have found themes that resonate, now we need themes that resonate in Australia. The Xenophon Team are reasonably sensible as far as they go but there is no broader vision of Australia’s direction. 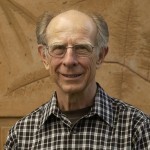 He cites a study by Richard Eckersley which asked people to choose between two scenarios. The first was a fast paced, competitive, individualist society focusing on wealth generation and the good life. The second was a greener, more stable society emphasising cooperation, community, family, less inequality and greater economic self-sufficiency. 75% of people expected the first scenario, but fully 93% preferred the second. Jobs and job security have to be front and centre and that means, all you lovely tree-huggers, talking up front about a clean, smart, caring economy. Other potential themes are fairer flows of wealth, accessibly-priced housing, education and health care, sovereignty over land and money flows, and a liveable planet with a live Reef. Clean energy, energy efficiency and healthy food create more jobs than mining and agribusiness, so the jobs message is there to be used. Job security will come not only from returning some power to employees but also from protecting small business and farmers from corporate depredations (think ColesWorth), and from cultivating a thriving (clean) industrial ecosystem, a concept largely absent from mainstream thinking. Fairer flows of wealth can be assured not only through minimum wage and tax policies, but also by slowing the mechanisms that unfairly pump wealth to the wealthy, like financial market speculation, developer capture of rising land values, unnecessarily concentrated ownership, and more. Offer a healthy society. People want more time with family and community, they want government ownership of major services and Aussie icons, and they want healthy cultural institutions — all things our parents could afford but we allegedly can’t. The present wave of intolerance is fed by job and income insecurity, so addressing those concerns can take oxygen from the xenophobes and ranters. The Liberals have been captured by IPA extremists, Labor trots along behind. The Greens run on their so-called four pillars: ecological sustainability, grassroots democracy, social justice and peace and non-violence. That’s broad enough, but if they want to appeal to those left behind in where society is heading, perhaps they should re-brand, putting social justice up front and de-emphasise the link with green groups in the public mind, without sacrificing green values. Too much they seem limited demographically to socio-economically comfortable urban seats. Perhaps a name change would help. I don’t think Labor can be written off, as Davies does. Shorten has moved the party to the left. Before the election there was a worry that if Labor lost then the Labor Right would take control. Shorten seems to have won enough to avoid this. Quiggin says there should be a loose cooperation between the Greens and Labor on issues, but no deal. David Hetherington, last year, wondered whether the Greens could “recapture their standing as political outsiders driven by values” when they seem to have morphed into just another political party. Di Natale’s review should run deep. 1. The Greens went close in a number of lower house seats. If the Greens had won these seats we would be talking Greens success. 2. In NSW the Greens have something like 16 members in state parliament and numerous local government Councillors including 3 Lord Mayors in Northern NSW. At local government level they do appear to have proved they can govern. None of the above proves that the Greens have the capacity to grow at federal level. Factors that may help the Greens to grow federally include the concern of some conservatives about the influence and general radicalism of the Tea Party faction and the attraction of the Greens to some left wing Labor people. Factors that may weaken the Greens include successes like the growing support for renewable energy that reduce the need of supporters of these issues to vote Green. I watch developments with interest. Coming ACT elections in October may through some further light on the issues – ACT Greens party and the social make up of their vote probably close to Victorian situation though with a less fractious relationship with the ALP than in Victoria. They’re against the plebiscite, so there’s the ” Grassroots Democracy ” pillar smashed. Thanks for that analysis, Brian. (1) The Greens refuse to listen to the public, the awful smelly creatures who must vote for them. For The Greens it’s, “My way or the highway”; Pig-Iron Bob Menzies would be so proud of their arrogance. (2) They refuse to look in the mirror. If they were ever forced to do so, they would shout to the heavens that all the imperfections were in the mirror glass. I did door-knocking and handing out how-to-vote cards for Senate candidates in the recent federal election. The local House of Reps candidate for The Greens would have done well for the electorate, if elected – and did get an impressive count in any case. However, what did surprise me was how much The Greens were resented and detested by most of the people with whom I spoke – they said they would vote for – or had voted for – ANYONE but The Greens. In summary, they were seen as out of touch, dominated by small splinter groups (the proverbial Land-Rights-For- Gay-Whales Alliance with two members and a stray cat) and anti-Australian. A few suggested they were anti-conservation as well, (work that one out). Malcolm Turnbull, Bill Shorten and Pauline Hanson should thank The Greens for all The Greens votes that were delivered to them on a plate. The Greens should either reform themselves – or get out before they are kicked out. Where do you live GB? The greens get a good reception in the safe LNP seat of Ryan and may end up taking the seat with the help of pissed off LNP members. Still a long way to go in Ryan, John. My memory is that the LNP increased slightly in 2PP terms. If you go to neighbouring electorates further out the Green vote drops rapidly to single figures. Graham, I think is in Central Queensland, where some of my rellies live. Greens would find it hard going there, as the greenies (groups like The Wilderness Society) and farmers are at daggers drawn. The farmers believe the greenies would like to see them off the land and the land be returned to ‘nature’. On NSW, personally I don’t know much, but I gather they were pissed off with Brown because at lower levels of government they are amongst the most successful states. Brian: Ryan was mentioned as a future possibility after the election and this is in line with what I am seeing at my end of Ryan. We are picking up disgruntled LNP voters and we dont have to go all that far before the vote goes to preferences with the Greens in second place at the end of the primary count. The interesting thing about that Geoff Davies’ critique is that a lot of what he says the Greens should be doing is what they actually are doing, at least in Victoria, so maybe it’s more of a communication problem than a policy problem. Val, I don’t know where Geoff Davies is from, but it’s a fair bet he doesn’t really know what the Greens are up to. John, the Ryan results show the Greens surging, and they may well get into second place. But Jane Prentice for the Libs is on 52.1% of the primary vote with +0.5% swing in nher favour to sit at 59.1% TPP. She looks safe for a while to me. Go to Blair, where the Greens got a handy boost to end up at only 6.2%, but One Nation seem to have got most of the Palmer vote, and then some, to end on 15.6%. The Greens don’t seem to have a story that appeals to the disaffected out there. Not surprised that they didn’t do well in Blair. Not surprised either that the one nation gains were made against the LNP and Palmer. Brian and John D.: Reside in rural central Queensland – where primary producers feel threatened (and that feeling is magnified by the LNP). Some “conservation(?? )” activists do need to get out of their metropolitan cocoons and visit The Other Australia; they might be so kind as to learn a bit about applied science while they are at it too. John D.: You hit the nail on the head with, “The Greens are essentially a party of the educated middle class.“. That’s why I was surprised The Greens did so well in Capricornia, where so many formerly prosperous and now unemployed working class families live (and are in debt-traps that prevent them shifting elsewhere). Part of that was because The Greens had a good candidate, of course. As for Ryan, I think that having Michael Johnson (for all his faults) and then Jane Prentice as MHRs – and The Greens kicking so many own goals – probably stopped it becoming a blue-ribbon Greens seat in the House of Reps years ago. Despite all the wealth in that electorate, some people there vote LNP through gritted teeth – and it did become a Labor seat at one election. Graham, yes Labor won Ryan in a bi-election in 2001, when Howard was a ‘dead man walking’ before he revived himself in the Tampa and 9/11 election later that year. You make a good point about “conservation(?? )” activists. One thing that irks me about greenies, as differentiated from Greens, is their propensity to pontificate on matters outside their expertise, and telling others how to live their lives. The classic was Aila Keeto, a rainforest ecologist, being granted an honrary doctorate by the then Gatton Agricultural College, responding on speech night, telling dry-land farmers in the audience that it may be time for them to move out and let the land go back to nature. GB: I have lived and worked in the serious outback for over 18 yrs plus one yr living and working at Blackwater in the not so serious outback. Add to that many years working in the Central Qld coal industry. So I have some feel for how people who live a long way from capital cities feel about being ignored. I can also understand how a grazier might feel about being blocked from clearing land to increase income. The shutting down of coal mines in Central Qld is mainly about over investment during the mining boom and the winding back of Chinese demand. In addition, most Central Qld coal mines produce metallurgical coal. A rational person would find it hard to blame the Greens for the winding down of Central Qld coal mining. It is also worth noting that the Greens are tourism friendly and strong supporters of the anti-fracking and lock the gates movement. Tourism and the possibility of building large scale solar are job creators. I am not surprised that the Greens are starting to do better in places like Central Qld. In terms of Ryan the Greens have had good candidates for the last 3 federal elections. The sort of candidates that would not put off conservative voters. The big stopper for the Greens in Ryan is that people know that a Green MP will support the formation of an ALP government if it comes to a close contest. Sometimes you have to accept what has been done in the past and turn it to advantage. North Africa will never be restored to its pre-Punic and pre-Roman natural state; nor will the pre-Xia forests of the Yellow River ever come back. The original natural condition of Australia was changed forever by the “firestick farming” of a few hundred generations of Aborigines and then by the axes and matches and bulldozers of White settlers. Why not leave what was cleared, cleared, rather than allow it to become overrun by a new uncontrolled ecology very different from the pre-human one? Why not concentrate on preserving, as best we can, as many wilderness places as possible? Doing that would be a win-win all round – and future generations would thank us for doing so. My comments on The Greens were made before tonight’s ABC “7:30 Report” on the shenanigans inside the NSW chapter or branch. They are certainly striving to prevent Greens candidates being elected. GB: I think ecological diversity is important so I don’t share the obsession some have for old growth forests or returning to original states. Disturbed areas and borders between different ecologies tend to be diversity hot spots. Many species come out of the forest to feed at dusk then retreat to the safety of the forest when they have finished feeding. I also think it is important to design some reserves so that species can move as climate changes. This needs interconnection including interconnections that are located in a way that takes account of the way changes will happen. John, Graham, Brian: good points. A friend in Victoria, living in agricultural, forestry and brown coal mining Gippsland, is an ecologist who works in the context of “productive landscapes”. In other words good land stewardship, biodiversity and pollution reduction can be achieved while still producing food and fibre for human use. I thought that the basis of the Landcare movement was to encourage cooperation between farmers and conservationists?? A laudable aim. The distasteful spectacle of metropolitan blatherskites preaching and hectoring outside their area of expertise is not new, and certainly not confined to greenpersons! Great description, Rob the Ranter they be. Pity ” they ” redefine some to meet ” modern definition “. Hope that one stays as it is. Looks like Background Briefing On Radio National will report on NSW and national Greens. Thanks for that Ambigulous. As far as I can see, Background Briefing is broadcast at 8am on Sunday, repeated at 9pm on Tuesdays. It’s also on NewsRadio at 1pm on Sundays. Here’s the Greens program link. Here’s a preliminary dose of what the Background Briefing program will be about. There certainly have been internal brawls and conflict. Greens did well in Byron Bay including winning the Lord Mayor role again. There is only one conservative Councillor in the Byron shire. This is a list of NSW Greens Councillors before the 2016 local government election.